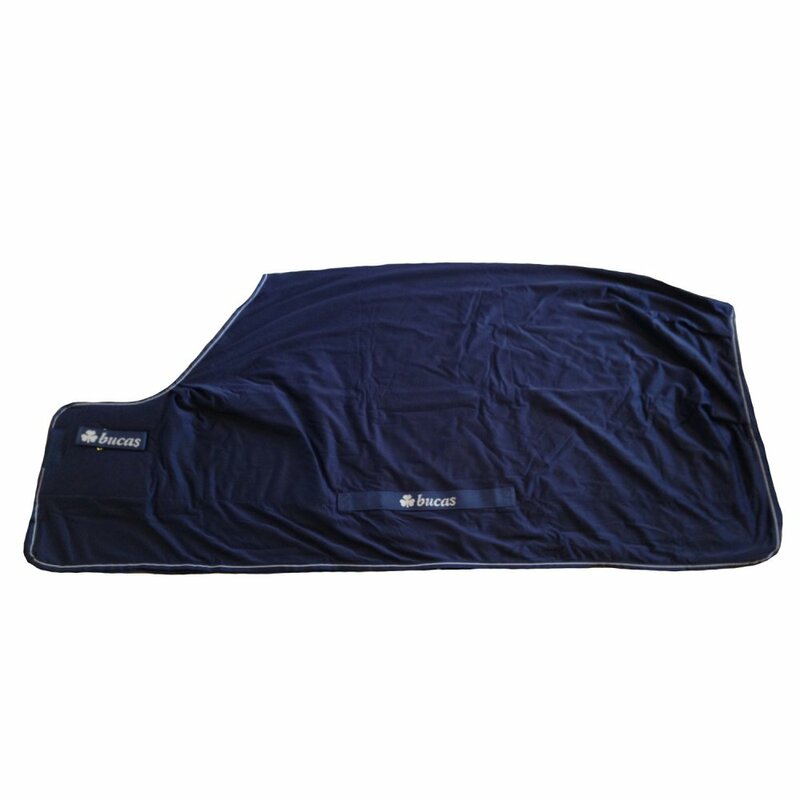 The Bucas Shamrock Power Cooler is an ideal multi functional blanket, perfect for use after exercise, whilst travelling and in the stable. This Bucas Cooler is manufactured using two layers of Bucas Stay-Dry fabric that wicks moisture away from the horse and dries incredibly quickly. The unique Stay-dry functionality saves time and rug changes and ensures that the horse is always comfortable. The anti bacterial lining helps to keep the rug fresh and in good condition. The Bucas Shamrock Power Cooler has internal surcingles to keep the rug firmly in place and a low friction outer to minimise hay and bedding from sticking to the rug.